Aquaponics is the marriage of aquaculture (raising fish) and hydroponics (the soilless growing of plants) that grows fish and plants together in one integrated system. 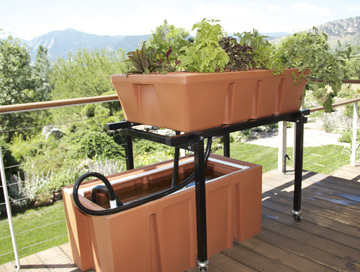 An Aquaponics system allows for complete control over the food you grow and eat. Food grade material is the highest quality polyethylene free from anything unsafe for humans. USDA/FDA requires all plastics used for food applications to be in its purest form without harmful chemicals, reprocessed or recycled materials. Rotationally Molded Polyethylene has the molecular strength to hold water without leaking or cracking. The superior design of this system allows the containers to be filled with liquid without expanding or stressing the container. While the roto-molded grow bed and fish tank are produced in-house, Granger Plastics utilizes its metals shop to manufacture other metal components for the aquaponics system. This enables complete quality control and ensures the highest quality Aquaponics system available. Polyethylene can be used indoors or outdoors and stands up to the elements of various weather conditions. Beautiful colors make this system aesthetically pleasing if placed inside while remaining durable enough to weather the outdoors. Grow beds and fish tanks can be added to meet all your food supply needs. Aquaponics is the marriage of aquaculture (raising fish) and hydroponics (the soilless growing of plants) that grows fish and plants together in one integrated system. The fish waste provides an organic food source for the growing plants and the plants provide a natural filter for the water the fish live in. Granger Plastics partnered with the leader in Aquaponics, The Aquaponic Source, to bring you the AquaBundance- at home Aquaponic system! 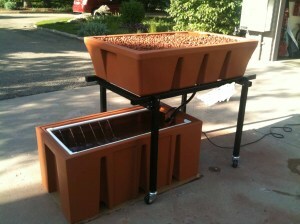 This system, consisting of a grow bed and fish tank is perfect for the first time gardener. Add the custom steel grow bed stand with castors for a neat but flexible arrangement. Attach a grow light to the stand and enjoy gardening anytime or anywhere! Polyethylene is safe, durable and perfect for holding water. The stone like finishes of this system make it beautiful enough to have indoors while also able to weather the elements outdoors. 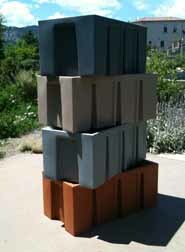 Most planters or pots can expand and crack in extreme temperatures due to the material they are made from. However, the molecular structure of polyethylene allows the material to grow and shrink without cracking. This durable material and Aquaponics allows for year-round gardening with many indoor and outdoor options so anyone can enjoy fresh food anytime. Purchasing a high quality complete system takes the guesswork out of this type of gardening. The many benefits of growing your own food quickly return any investment into setting up a system. 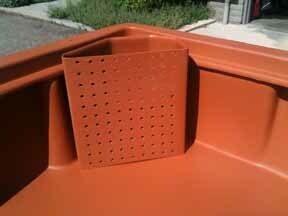 While many types of containers can be used to make an Aquaponics system, rotationally molded polyethylene is the preference of many experienced gardeners due to the durability and compatibility of the material with the plants and fish. Systems can be set up small then expanded by adding additional grow beds or fish tanks. The Aquabundance System available through the Aquaponic Source is a durable, easy and beautiful way to start taking control of your food.